Jennifer has more than fifteen years of experience as a writer and producer for print, broadcast, and digital media and a decade producing live events. She first arrived at WNYC as a guest on The Leonard Lopate Show, but soon enough she was on the other side of the studio producing news, arts, and culture segments with Oscar-winning actors, Iranian clerics, presidential historians, neuroscientists, and even a few tugboat captains. Jennifer has edited dozens of titles for Michelin, Explorer, and Not For Tourists. She was the founding producer of Cooking with Emeril hosted by Emeril Lagasse as well as the health and wellness show Whole Living on Sirius XM, where she also developed and produced many live audience specials hosted by people like Isaac Mizrahi, Tom Colicchio, Bill Telepan, and Martha Stewart. 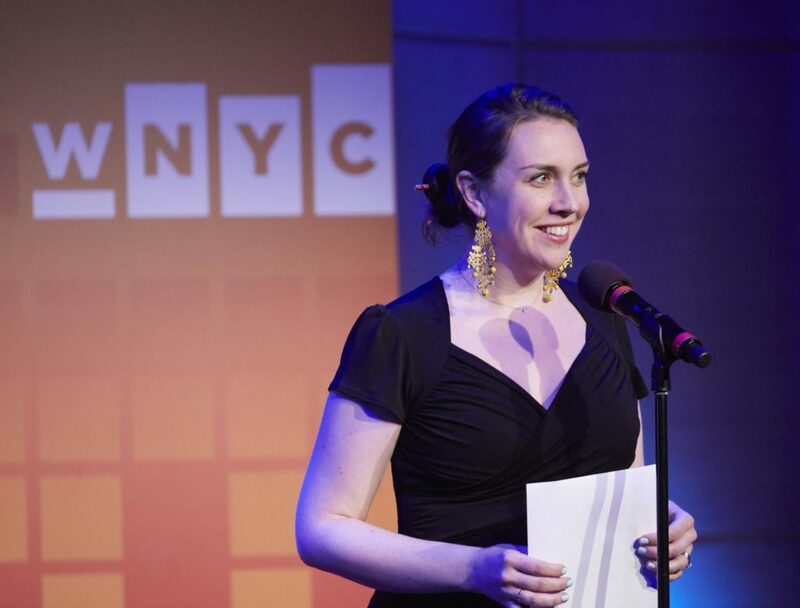 At the short-lived FM News 101.9, Jennifer anchored newscasts, reported breaking news across the five boroughs, and crafted features on subjects that ranged from the history of Christmas fruitcake to the hiring practices at the FDNY. Jennifer has a degree in literature from New York University, completed a Fulbright year studying politics in Denmark, earned an Advanced Certificate in Wine and Spirits, and also holds a New York City sightseeing guide’s license. She lives in a two-family house in Queens with one husband, two sons, and a brother-in-law, and is convinced their lives would make a great sitcom.